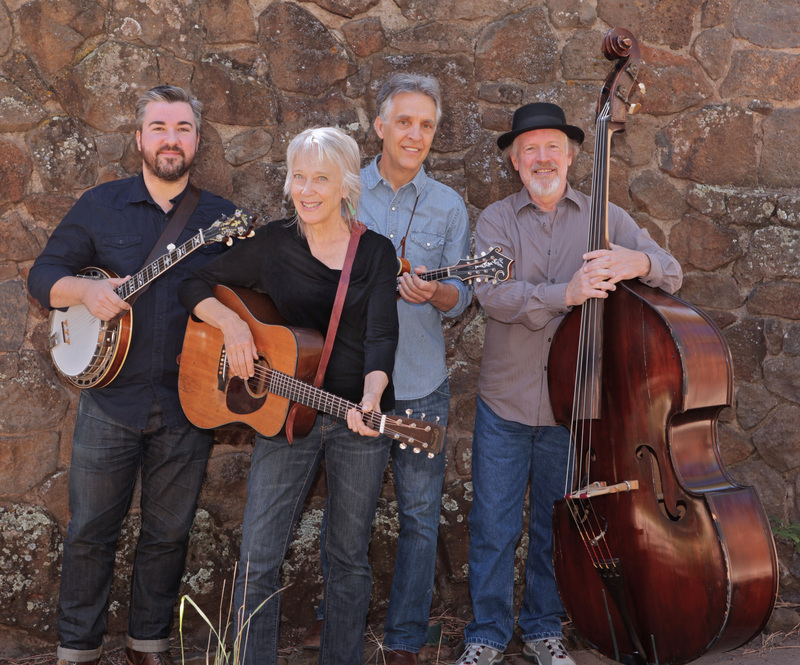 Pioneering performer of bluegrass, Laurie Lewis took time out to discuss her career, the lessons she learned and intelligence on her upcoming CD. 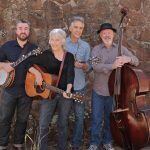 Lewis and her band, The Right Hands will be headlining the third annual MountainGrass old time and bluegrass festival in Harrietville 20-22 November 2015. Q: I’d not heard of you or your work prior to your Australian tour. But I’ve appreciated catching up with your performances on Spotify and YouTube. Q: Have you visited Australia before? Lewis: I’ve never been to Australia before. It’s probably part of the reason you’ve never heard of me (laughs). I’ve been to many other places but I’ve never been to Australia. We’ll be there for about 12 days. Q: I was tickled by an interview you gave where you revealed if you were reincarnated you’d return as an Australian sheep dog because of your talent for herding. “I know a lot of people and I don’t step on people’s toes.” I gather also you embarked on your musical career around about the age of 35. Lewis: Up to that point I had a semi-steady day job. I worked in a violin shop, and then ran my own shop for seven years. Then I decided I would make one album of my songs just to get them down. That was the beginning of everything for me. I felt more alive during that creative process than I ever had at work. Q: But you were on the local folk scene doing fiddle back-up, I understand. Lewis: I was always playing on the weekends. I was in bands and we would play in the San Francisco Bay area. But we wouldn’t tour and I never committed to doing it full-time until I made my first solo album. You can get that album from my website. It’s called Restless, Rambling Heart. I think it’s a pretty good album. It has stood the test of time. Q: I was taken by your yodelling on YouTube. I hope you do some of those pieces when you are in Australia. Lewis: I am sure I will. My dad used to tell me I should yodel at every show. I never paid attention to his suggestions when he was still living, in terms of what he thought I should do in my shows. But I think he was right about the yodelling. I’ve been doing it for my Dad. Lewis: That song has been good to me. I heard Kate sing it at the Augusta Heritage Workshop in Elkins, WV. She sang it a cappella, just by herself. I was totally smitten with the song. I went up to her and said I just have to learn it. So I arranged it, the chords and four-part harmony with my band. It’s a song that touches so many people. Q: You also come across as a natural manager and community reach-out person. Where did that come from? You seem to be the main driver of some legendary groups, the Good Ol’ Persons, the Grant Street Band, the Bluebirds, and working with Ralph Stanley and Tim O’Brien for example. Lewis: I have certainly been a collaborator with these groups, I’m happy to say. I do have a lot of ideas and I am very lucky in that I get incredibly talented people to go along with me and help me realise them. I am good at listening and encouraging the people that I work with really use their artistic senses. I try not to shut anybody down. Q: Tell us about how you got to sing with Maria Muldaur and Linda Ronstadt as the Bluebirds back in 2005. Lewis: That was incredible. A fellow that puts together a bluegrass festival in Washington State was looking around for something special. He first talked to Maria Muldaur. He had this idea that Maria, Linda Ronstadt and I would make a great trio. I knew Maria. Maria was good friends with Linda. I had never met Linda. So we got it together and it was so much fun. It’s created great friendships between the three of us. We thoroughly enjoyed working together and doing that project. Q: You never thought to develop it as a recording project? Lewis: No. Linda is on a whole different level in terms of popularity and pressures on her, than we are. She’s an icon – a legend. It would have been fantastic but it didn’t really work out. She’s unable to sing any more due to he alt problems. But I did get Linda to sing on a number of my recordings. Q: Apart from Tom Rozum, your long time collaborator, who else is joining as part of your band? Lewis: The amazing Patrick Sauber who is a multi-instrumentalist, mostly playing banjo with us and a great singer as well. And also just about my favourite bass player, Todd Phillips. Todd, Tom and I have played together for at least a dozen years will be touring with us. We’ve not played regularly with Todd since he went off on a tour with Joan Baez and then moved to Nashville. So this is going to be a real reunion for us. Q: I understand you’re an accomplished producer of CDs and other audio projects. Has this been an expression of freedom or is there a business plan underlying this, as well? Lewis: Well there’s business. I get paid. (laughs). But I only do it with artists that I really connect with, and I think I can help realise their vision. It really takes over my life when I am doing it. I don’t have much left over for myself. I am willing to do that because I like the role, quite a bit. I enjoy it on all sorts of levels – the interaction with people, the different sort of inventiveness that I have to call on. I like to be able to share my expertise. 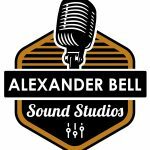 I’ve been making recordings for 30-some years and I may as well share what I know. I’m there through the mastering process. Q: It states somewhere that you received a Grammy award and elsewhere you were a Grammy nominee. Can you elaborate on what the awards and nominees were for? Lewis: I won a Grammy for my part in an album called True Life Blues – The Songs of Bill Monroe (1996) I sang the title track as well as another track. I am also a Grammy Nominee with Tom Rozum for our duet album, The Oak and the Laurel. I am also a Grammy nominee with Ralph Stanley, for his album Clinch Mountain Country. Q: You have a diverse portfolio of recordings. Is this a reflection of your roaming interest or simply your broad taste in acoustic Americana? Is this designed to defy any branding of your musical career? Lewis: (Laughs). Record companies have had a little trouble with me sometimes. I don’t like to be put into a box. I’m lucky in that I pretty much get to write my own ticket and do what I want musically. I have enough of an audience that supports me. I can follow my passion and heart. Q: As a West Coast based performer were you influenced by popular folk groups like the Kingston Trio? Lewis: In the 60s I certainly heard the Kingston Trio a lot, but I gravitated toward the music of Doc Watson, The Greenbriar Boys or Jean Ritchie – people steeped in mountain music. And a little later on I fell under the spell of Bill Monroe. Q: You pioneered an all female bluegrass group, the Good Ol’ Persons. Can you tell me how that worked for you? Lewis: Good Ol’ Persons was definitely one of the first of all women bluegrass-ish bands in the mid-70s. It mostly started because we were all friends. We wanted to support each other and we got together for fun. The bluegrass scene was mostly men and we thought it would be really fun to be able to perform one good set of music at Paul’s Saloon, a bluegrass hangout in San Francisco. That really was the extent of our goal. When we went and played our one set of material on Jam night at Paul’s, the owner of the bar, Paul Lampert, hired us. He saw it as a commercially attractive to have all these women on stage. It suited his place, because he had an all-woman staff of bartenders and waiters. So we took the job and worked really hard to develop a number of other sets of material. Back then you had to play four sets a night. It happened organically from that. Kathy Kallick was a founding member of the Good Ol’ Persons. Various members of the band left for various reasons such as poor health or moving away. After a while it wasn’t the same band. I decided I’d rather do something else, so I left the band as well. Eventually there was only one original member left and that was Kathy. Q: Are there any lessons from working in an all-girl bluegrass band compared with a mixed or all male band? Lewis: Women tend to want to process things more. It is easier to deal with some personal problems among (most) women than it is with men, because a lot of men just don’t talk about personal things. Women as a whole are more likely to want to get to the bottom of whatever is going on. We want to work it out. That makes a big difference. Q: Have you applied these insights in your current band? Lewis: I think I have been able to apply it. I understand it from the inside, the different dynamic between men and women and communication. I managed to get the men that I work with to communicate with me, maybe more deeply than they might if it was an all- male band. That keeps us together and happy. Q: Will you be doing any workshops at Harrietville? Lewis: We are doing some workshops. There is a harmony singing workshop for sure. Q: Anything you want to achieve while down under? Q: Any new CDs in the pipeline? Lewis: We have one now that is “almost in the can”. Hopefully we’ll have it in our hot little hands by the time we fly to Australia. It’s called The Hazel and Alice Sessions. It covers the repertoire of Hazel Dickens and Alice Gerrard . We delved into their repertoire. They were huge influences on me in my early days of playing. They did real breakthrough recordings in the 1960s as women singing and playing bluegrass.